Unobstructed ocean views from 2 Bed 2 Bath first floor condo at Sand Dwellers I. Condo is very well maintained! Wood floor in living areas and carpet in the bedrooms. Sunny beach decor and comfortably furnished. Central heating and air plus ceiling fans. Well equipped kitchen includes, microwave, dishwasher and washer/dryer. Living area has Flatscreen TV, 2nd television in master, DVD player, wireless internet access, telephone for local calling. 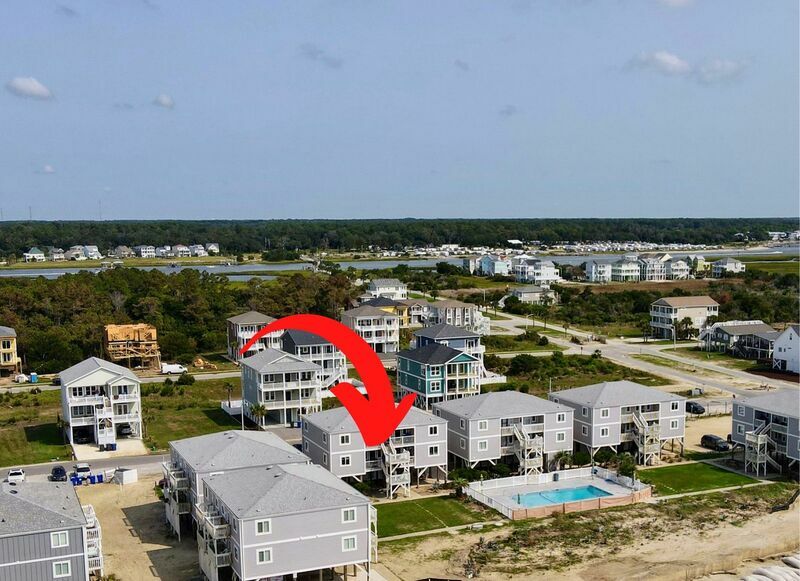 Located on the quiet east end and just a few steps away from the beach access. Community pool with deck furniture, Beach access just across the street. Non-smoking. We really enjoyed everything about our week at Ocean Isle. The property was well maintained. So close to the beach and pool, and we enjoyed the quiet and relaxing atmosphere. Felt at home at the property! We had a wonderful week at the beach and were so grateful to have such a beautiful, peaceful, and comfortable place to stay. The condo was just perfect for us and nicely upgraded. Love the privacy, quietness, and pool. Our son definitely got a weeks worth of use out of the pool. Thanks so much for making our family vacation great! !